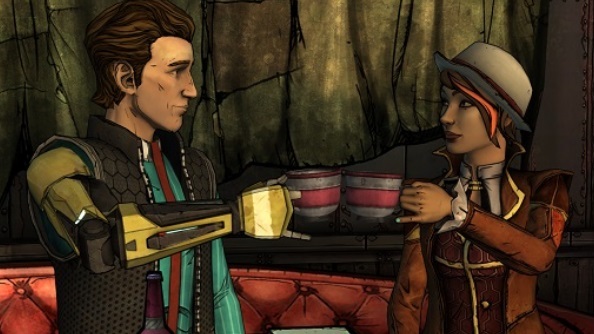 Despite critical acclaim, Tales from the Borderlands was not a commercial success for Telltale Games. Another season seems pretty unlikely, then. Get your narrative fix with the best RPGs on PC. That’s according to game director Nick Herman, who joins several other Telltale and Gearbox staff in giving an oral history of the game’s development to the Campo Santo quarterly. This led to pressure to “wrap this season up quick” and move staff to other projects, which Herman resisted so as to properly conclude the story. In the end, Herman agreed to give up most of his staff and try to wrap things up with a skeleton crew. Making an episodic narrative game from a co-op loot shooter always felt like a bit of a risk compared to Telltale’s usual fare, but it turned out pretty well. In a week in which Hellblade’s threat of permadeath caused a storm all over social media (only to be proved hollow by PCGamesN), it’s sad to learn that another risky decision by a developer, which ultimately produced a good game, has not been financially rewarded.